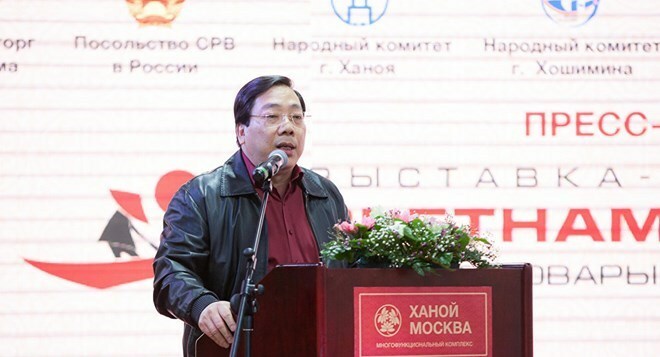 Moscow (VNA) – Cooperation between Russia and the Association of Southeast Asian Nations (ASEAN) will help maintain peace and stability in the Asia-Pacific region, said Vietnamese Ambassador to Russia Nguyen Thanh Son. The ambassador made the remark when granting an interview to reporters from the RIA-Novosti news agency ahead of the Russia-ASEAN summit due to be held in Sochi, Russia on May 19-20. He added that Vietnam considers the summit a lever for the comprehensive strategic partnership between Russia and ASEAN in the fields of politics-security, economy and culture-society. Regarding the perspective of cooperation between Vietnam and the Eurasian Economic Union (EAEU), the ambassador said that Vietnam-EAEU free trade agreement (FTA) will facilitate the access of the union members’ products to the Vietnamese market. He also highlighted the prospects of exporting a number of Vietnamese goods to the EAEU member nations, such as rice, fruits, vegetables, grains, fish, and light industrial products. Once the FTA becomes effective, bilateral trade between the two sides is expected to reach 10 billion USD by 2020. According to the Vietnamese ambassador, Russia and Vietnam have potential for cooperation in oil and gas exploration and exploitation. Currently, t he Vietnam National Oil and Gas Group ( PetroVietnam ) and several Russian groups including Gazprom, Rosneft and Zarubezhneft are cooperating effectively in projects on oil and gas exploration and exploitation in the continental shelf of Vietnam, Russia and third countries, he said.